These swag items are unsigned since most of them are unsignable. 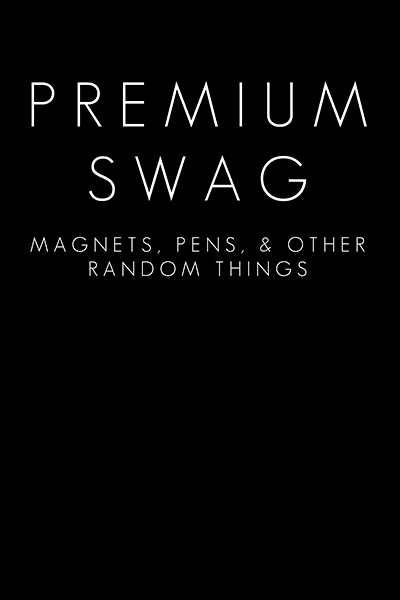 Includes things like magnets, pens, pencils, buttons, chapstick, and more. Items vary as I run out and restock with new things.